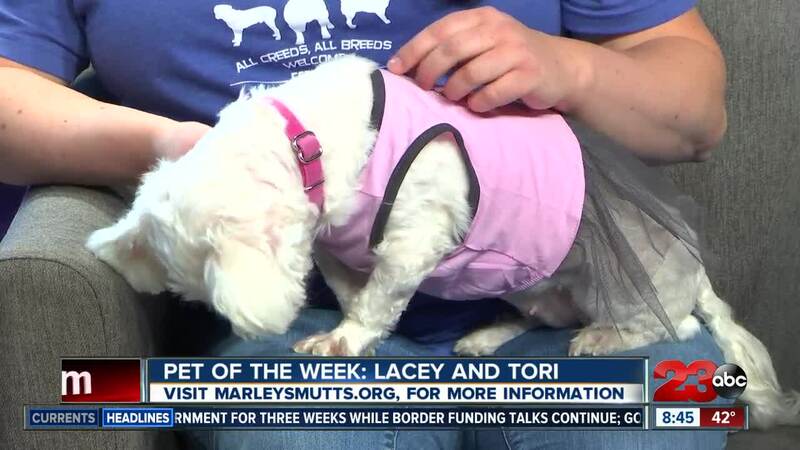 BAKERSFIELD, Calif. — Saturday on our Pet of the Week segment we had 5-year-old Maltese albino mutt Lacey on our show and she was only the best delight to be around. Even though she was shy, she warmed up to strangers who let her smell them first. According to Torie of Marley's Mutts because Lacey is an albino she will need doggy goggles, sunscreen and a jacket before she goes on walks. But she also has a playful personality and bright blue eyes that you won't miss. If you would like to adopt Lacey head to Marley's Mutts website.